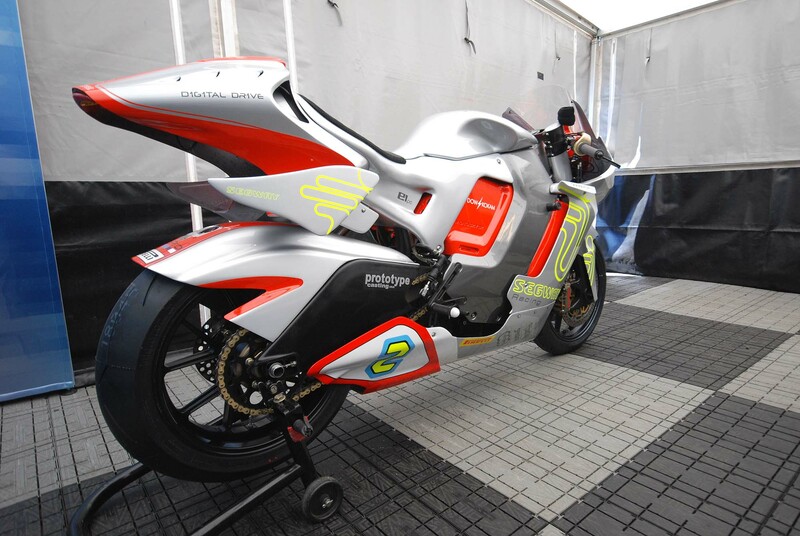 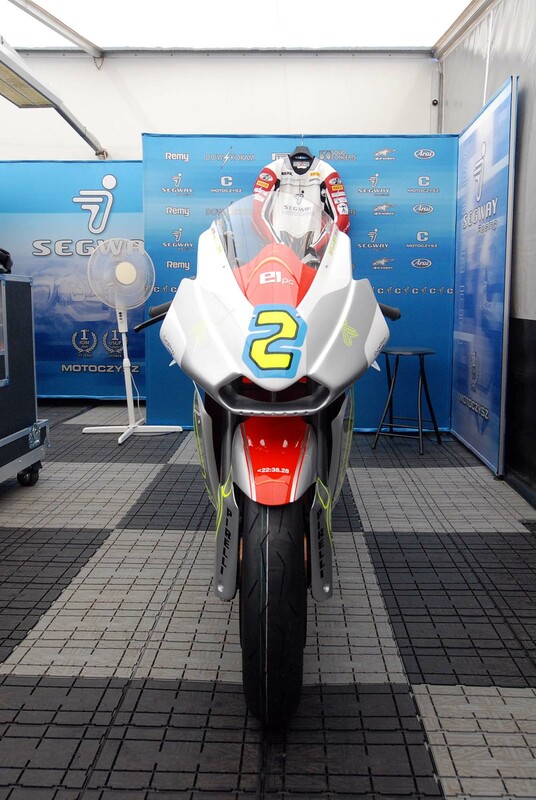 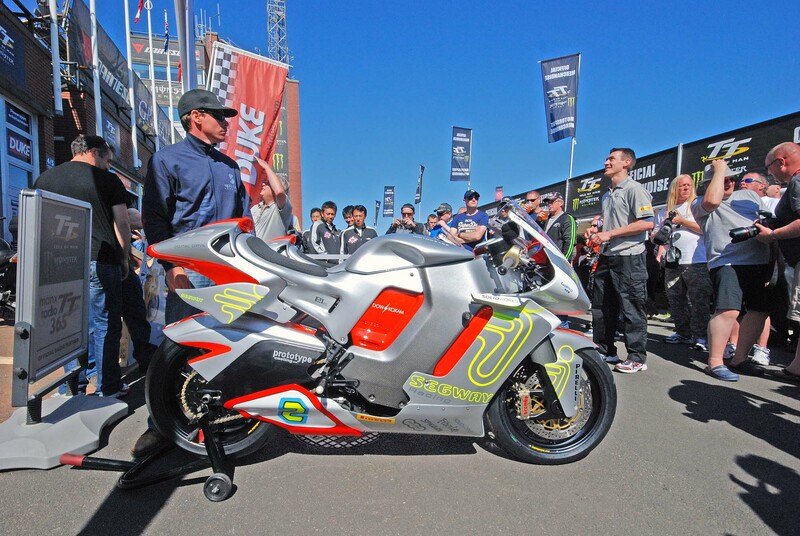 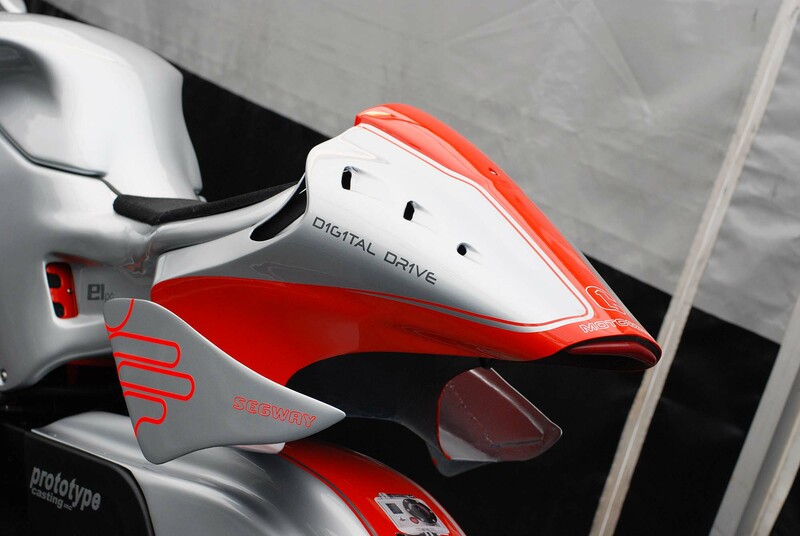 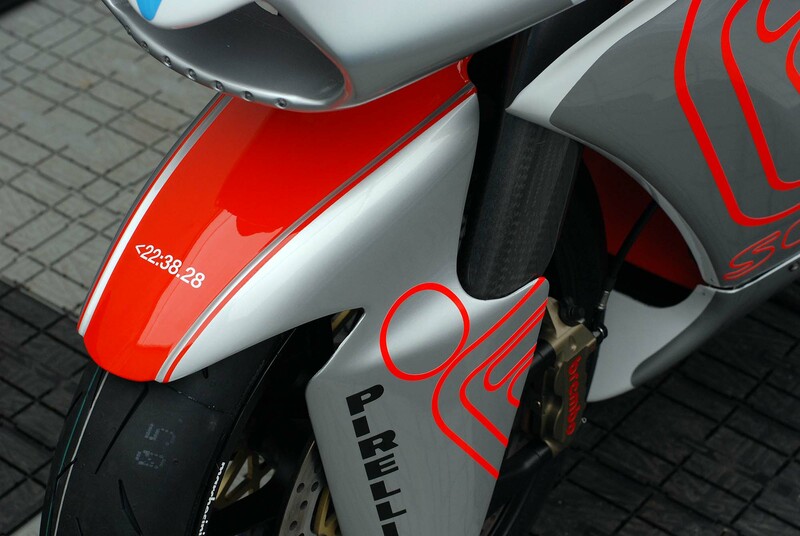 Noticeably apparent on the 2012 MotoCzysz E1pc are the aerodynamic fins and ducts, which the team has developed through the use of Solidworks, and hopes will help make the E1pc slip through the air on the Mountain Course with ease. 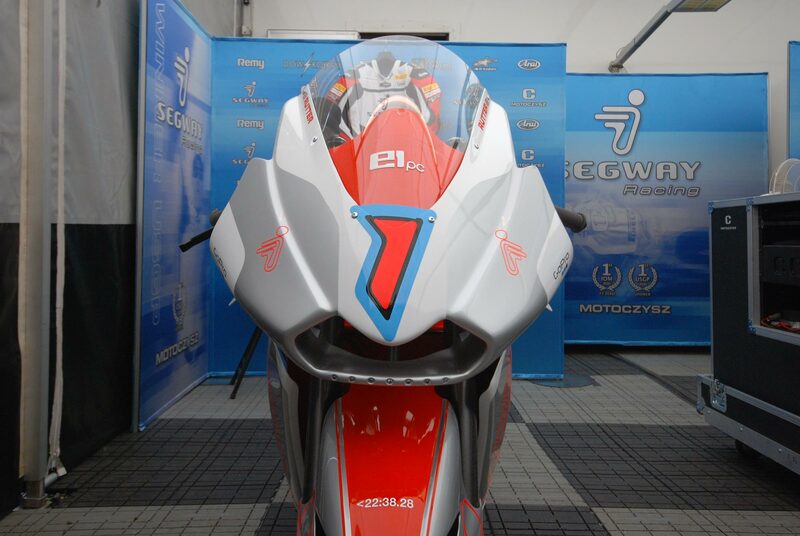 Since wind resistance is a square-function in relation to velocity, a two-fold increase in speed results in a four-fold increase in wind resistance, and as such MotoCzysz has placed a high priority on aerodynamics for the 2012 season. 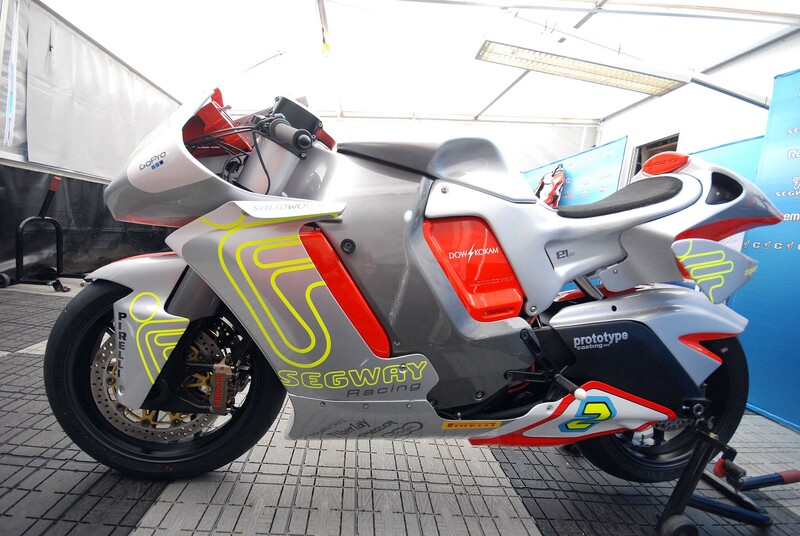 Making refinements to the 2011 design, MotoCzysz returns with its under-tank suspension design, which uses two shocks with forward and aft linkages to facilitate the front forks and swingarm suspension duties. 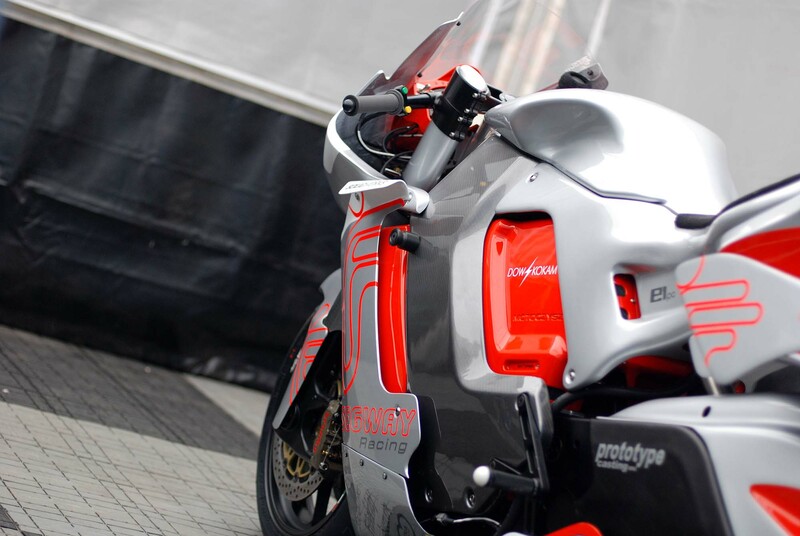 Other improvements have been made to the bike’s electric drivetrain, which include increased efficiencies, more accessible packaging, and better mass-centralization. 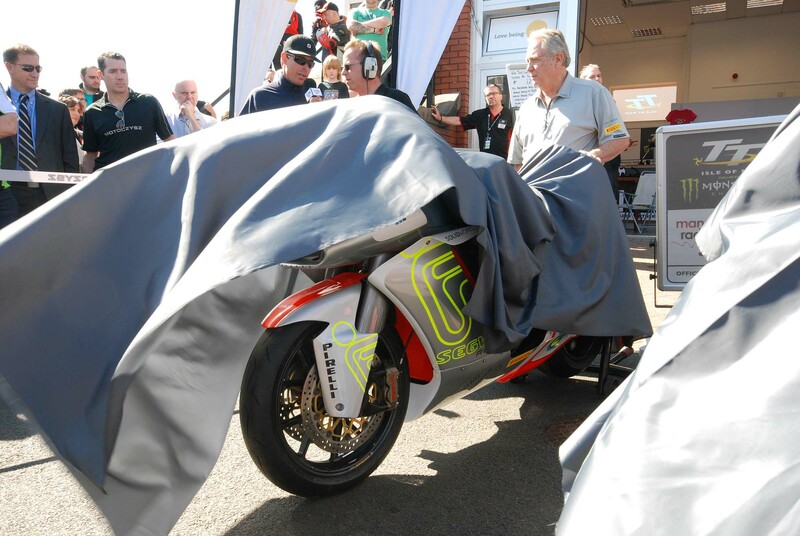 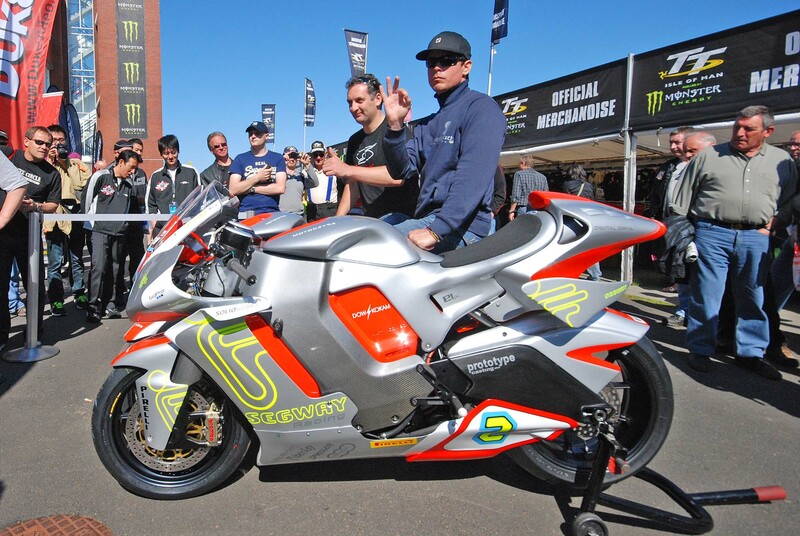 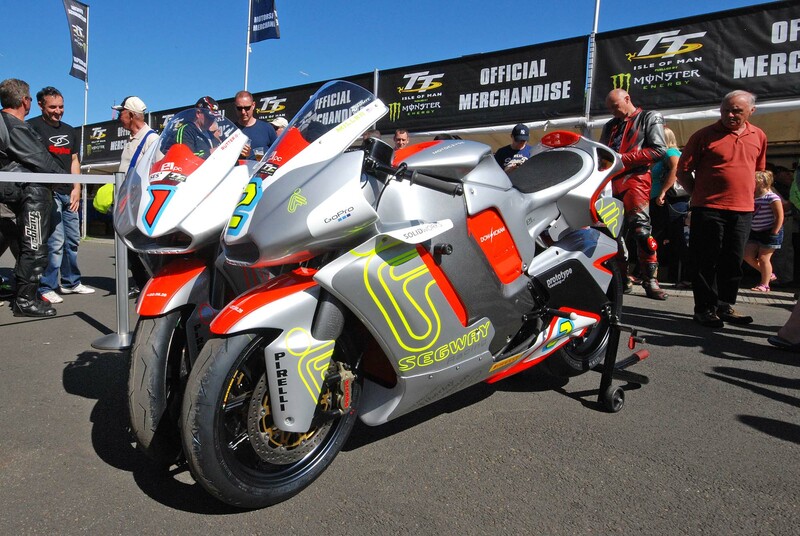 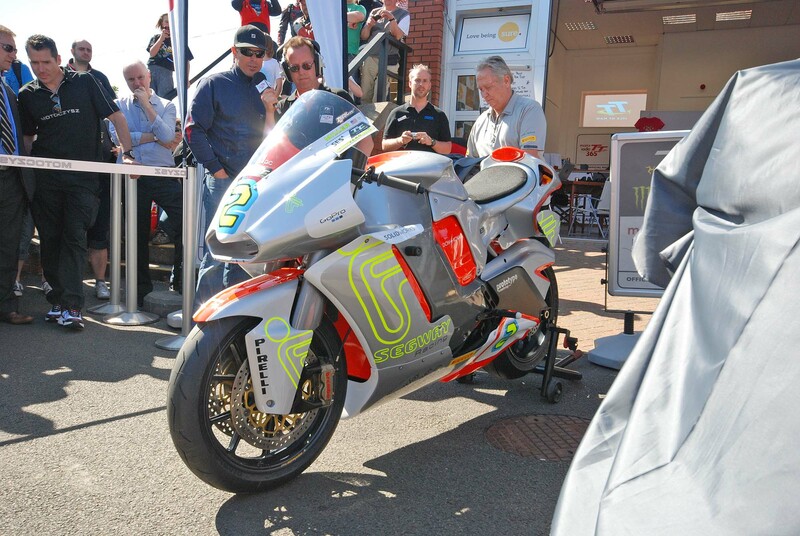 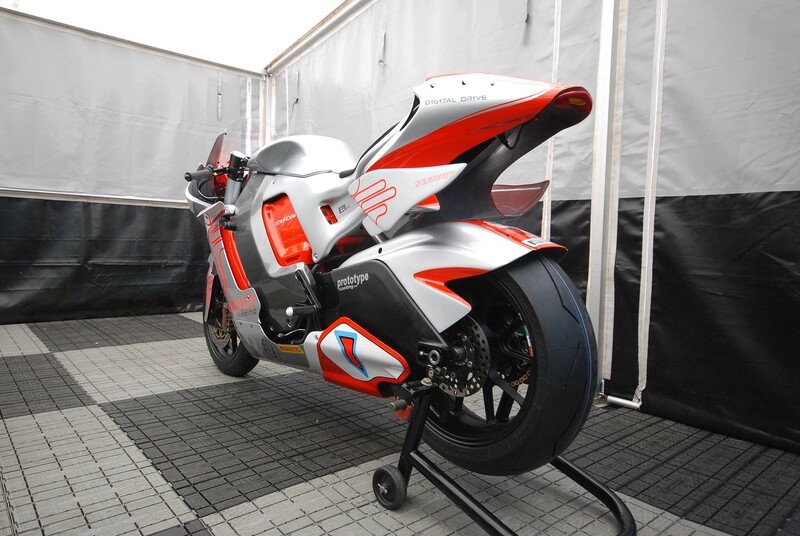 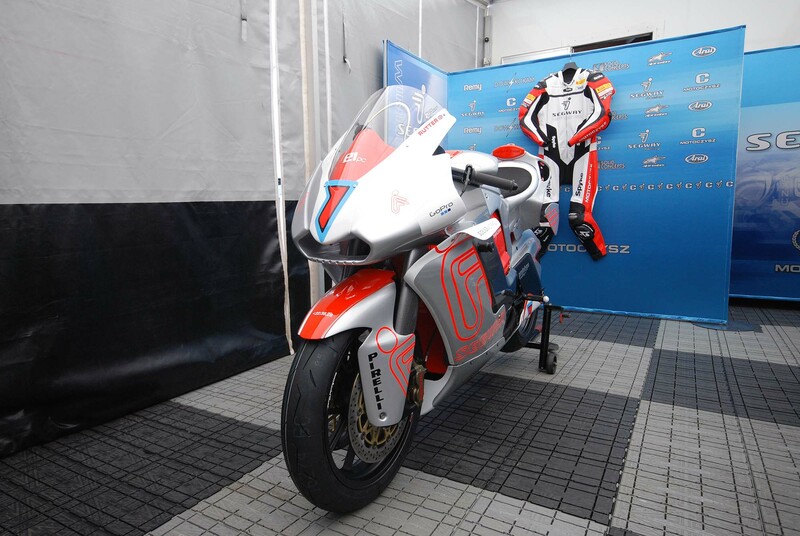 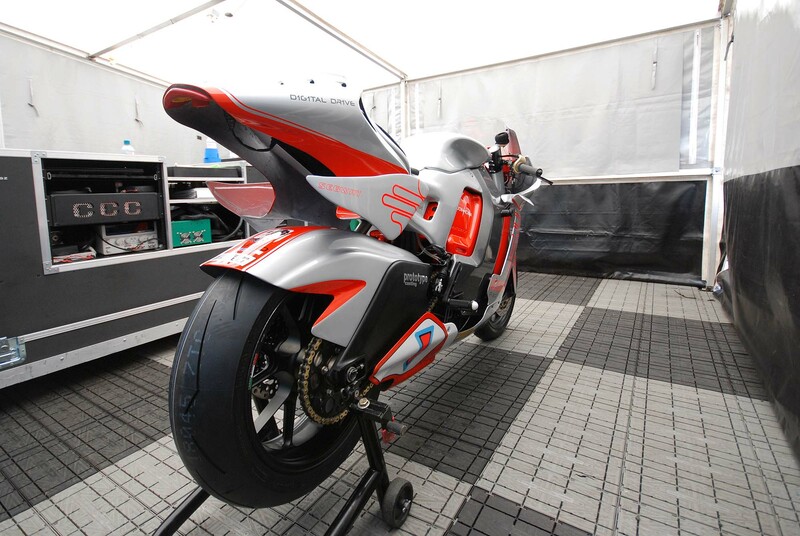 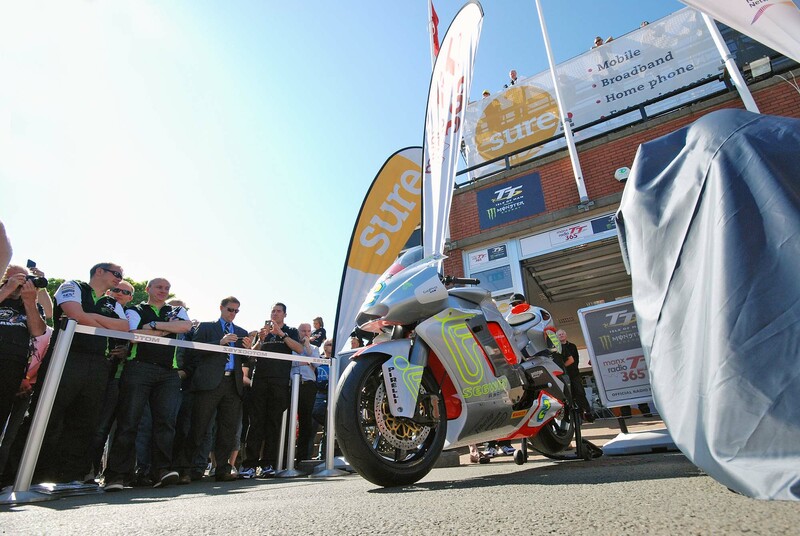 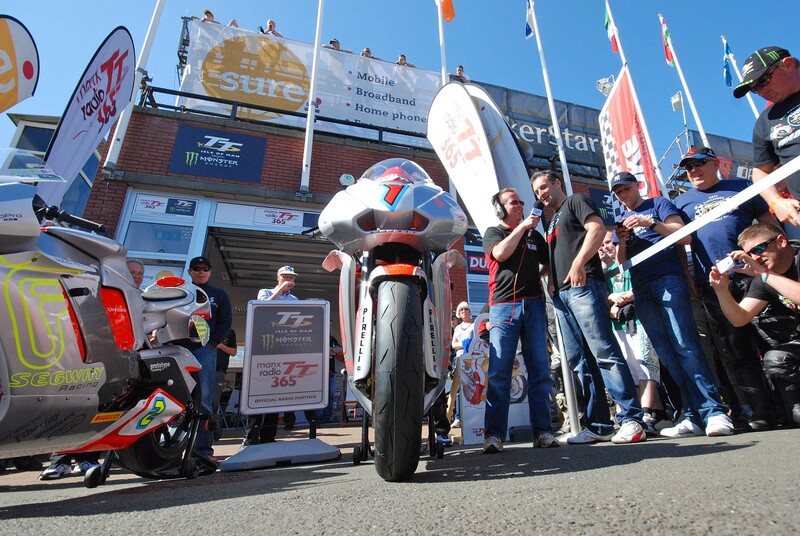 Though the 2012 MotoCzysz E1pc has been tested prior to its arrival on the Isle, tomorrow’s practice is the first chance Rutter and Miller will have to swing a leg over the machine. 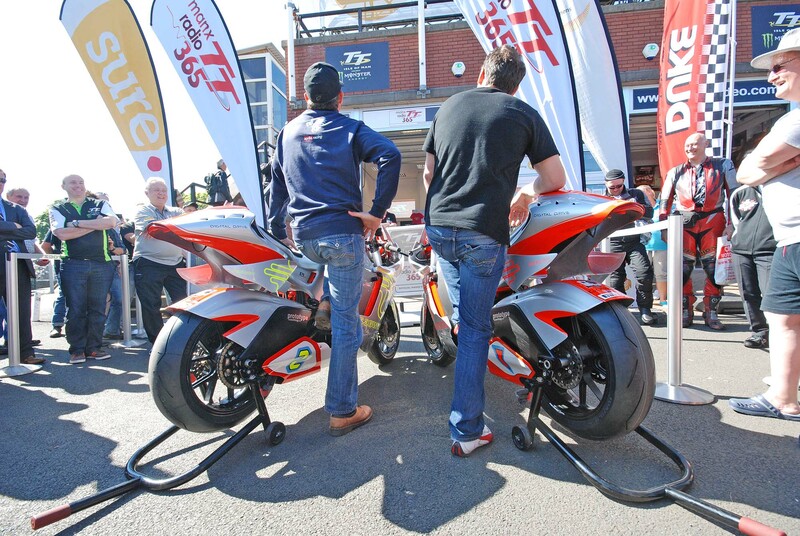 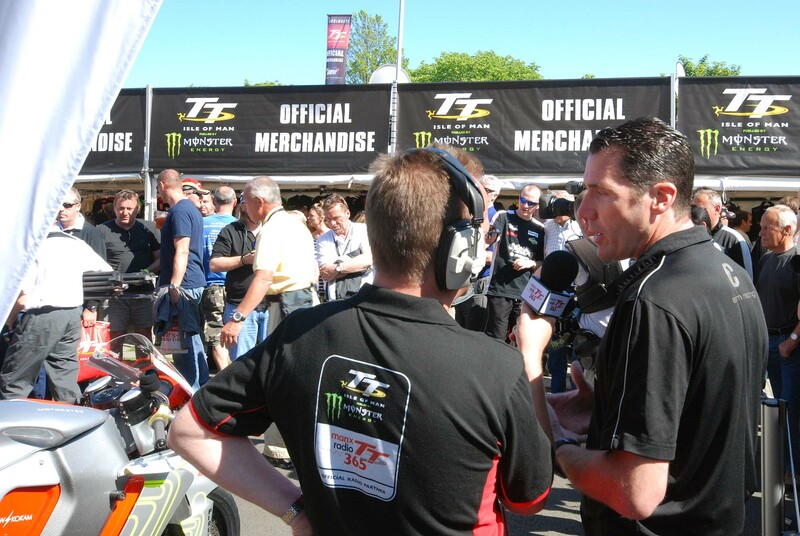 Talking to Michael Czysz about the TT fortnight, he said biggest hurdle will be setting up the bikes to each rider’s specifications in only two mountain passes. 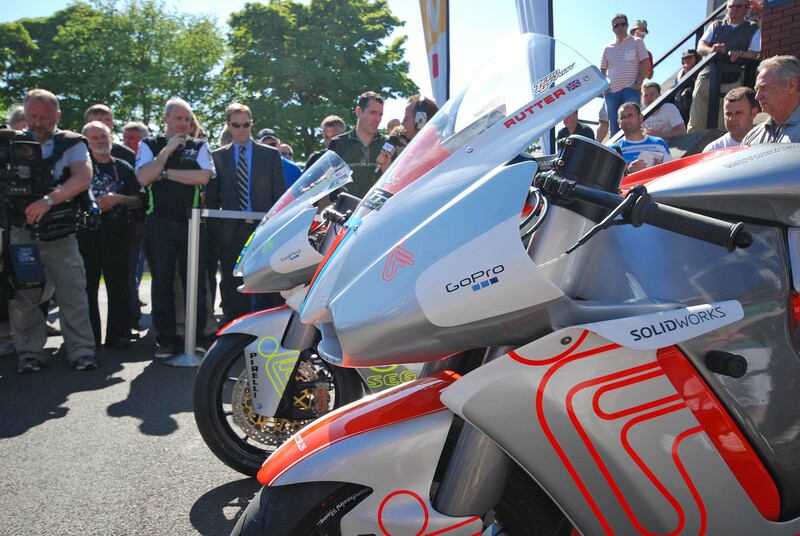 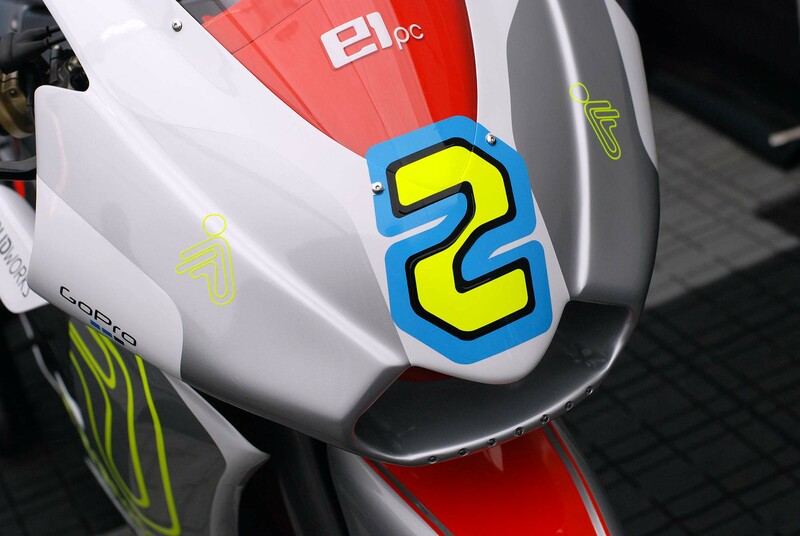 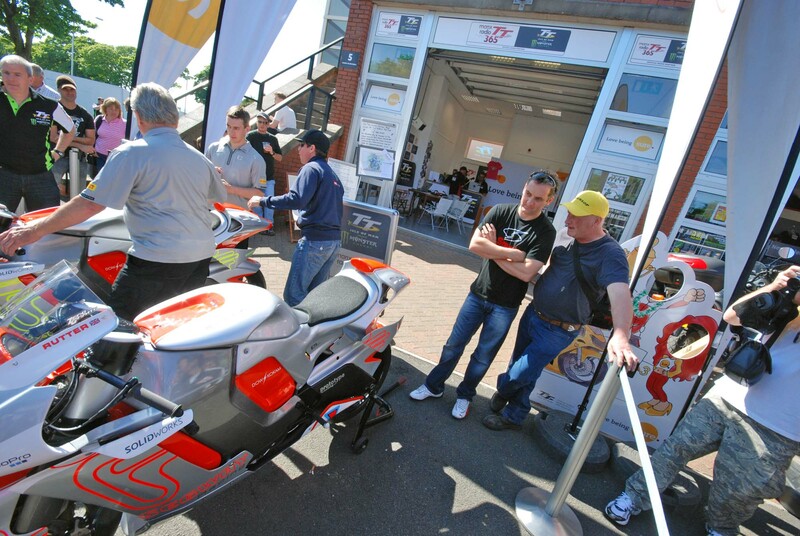 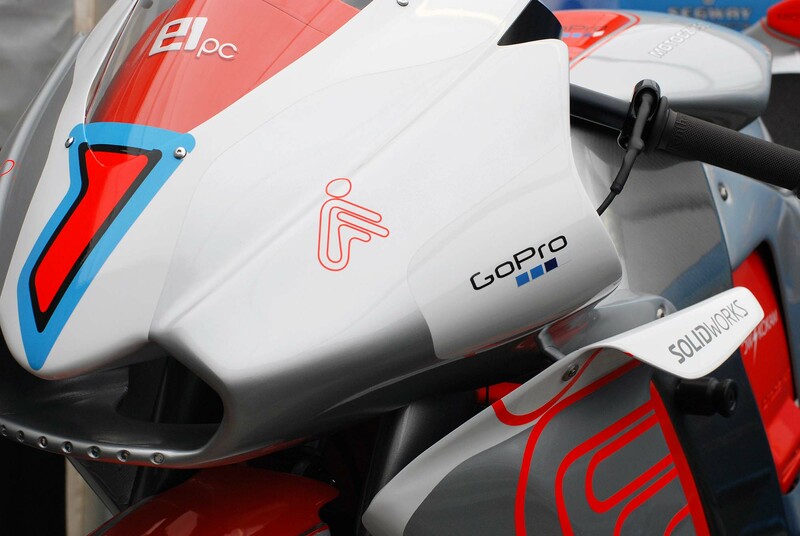 Helping the two Segway MotoCzysz Racing riders conquer the Mountain Course is an upgraded systems dash, which will better communicate the pace of the rider in relation to the course, and what is occurring on the 2012 MotoCzysz E1pc.